This lovely wholesome soup is a meal in its self. An absolutely wonderful bowl of goodness on a cold winter’s day and if you were feeling really indulgent you might provide two slices of melted cheese on toast for each serving! Melt the butter on a low heat in a large cast iron ovenproof casserole dish with a lid. Thinly slice the onions and place with a few sprigs of fresh thyme in the dish and cook on a very low heat for 30-40 minutes stirring occasionally. It’s best to keep the lid on at this stage, it will stop the onions drying out and burning. 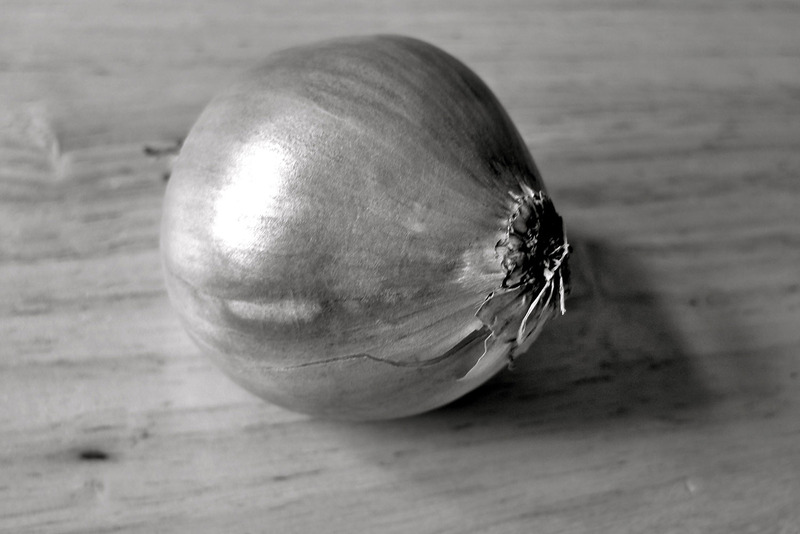 You want the onions to become translucent, soft and sticky, but not to brown. Add the flour through a sieve and stir in with a bit of the stock making sure there are no lumps. You might want to remove the stalks of the thyme at this stage. Add the brandy and seasoning, then the remaining stock. Stir well and almost completely cover with lid and bring to a gentle boil. Cook for a further 30 minutes stirring occasionally to stop it sticking. Cut the French bread in longish diagonals and toast under a grill. Grate the cheese. Place the bread on top of the soup, sprinkle the cheese on the bread and put in a hot oven (180c) for about 10 minutes or under a grill for about 5 minutes until the cheese has melted. Keep an eye on the bread, as it will easily burn. Don’t worry if some of the cheese falls in – this will give the soup a nice rustic feel. To serve carefully ladle the soup into bowls and place one piece of the toasted bread on top. You may also like to add a further sprig of fresh thyme to garnish.